PQube bringing latest in visual novel series overseas. 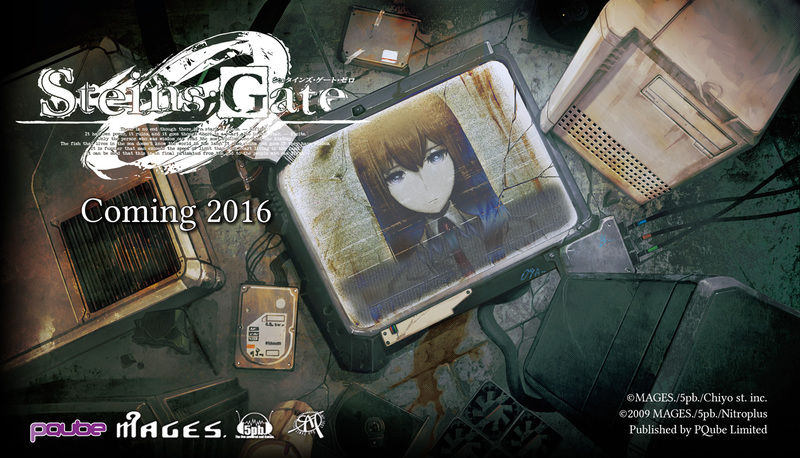 PQube will release Steins;Gate 0 for PlayStation 4 and PS Vita in North America and Europe in 2016, the publisher announced. The visual novel will appear at London MCM Comic-Con this weekend, with a trailer playing as part of the trailer reel at the Rice Digital booth. If you’re in attendance, whisper “El Psy Kongroo” to the staff and you’ll get a free Steins;Gate 0 poster. Steins;Gate 0 is a sci-fi visual novel that explores a branch of one of Steins;Gate‘s alternate endings. It sees Rinataro Okabe and the Future Gadget Lab members, along with new characters, star in a story about AI and the creation of something called “Amadeus,” which allows users to interact with the stored memories of another person. PQube did not announce plans to localize the PlayStation 3 version of Steins;Gate 0.